Little Birdy is a four-piece rock band from Perth, Western Australia. The band formed in 2002 when songwriter, singer and guitarist Katy Steele left her former band the plastik scene. She joined with Simon Leach on guitar, Scott ('Barney') O'Donoghue on bass, and Matt Chequer on drums. The Little Birdy EP was released on October 6, 2003 and reached a peak of number 27 on the Australian singles charts. Relapse reached number 16 on the Triple J Hottest 100 while Baby Blue reached number 25. The Little Birdy EP was released on October 6, 2003 and reached a peak of number 27 on the Australian singles charts. Relapse reached number 16 on the Triple J Hottest 100 while Baby Blue reached number 25. The follow up This Is a Love Song EP was released on March 1 and debuted at number 22 on the Australian singles charts on March 8. On 1 October 2004 the band released their highly anticipated debut album, BigBigLove, which includes new versions of Beautiful (renamed Beautiful To Me) and Relapse. It also includes I Should've Known with its original title of "Andy Warhol". It met with generally good critical reaction. The bands follow up album titled Hollywood was released October 2006 and debuted at 9 on the Aria charts. The songs Come On Come On and Bodies were big hits in Australia. 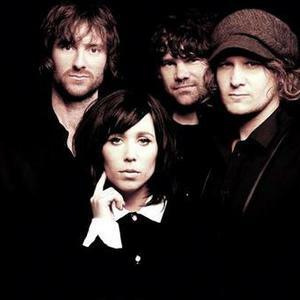 In May 2009, Little Birdy released their third album Confetti, with their first single Summarize and Brother, which features Paul Kelly on backing vocals and harmonica. Katy's brothers Luke Steele and Jake Steele are also in the band The Sleepy Jackson with Luke also featuring in the band Empire of the Sun.